Earlier this week I blogged about 7 Astonishing Objects Made with 3D Printers. If you’re a fan of learning how to make your own things using 3D printing, then you’ll want to check out these five great websites. Each will provide you with free downloadable 3D models for you to get started! 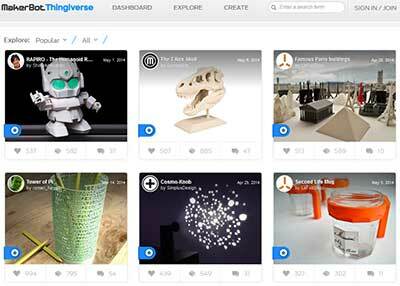 Owned by MakerBot, this amazing website is dedicated specifically to 3D printing, offering over 30,000 items that have been uploaded to its site. 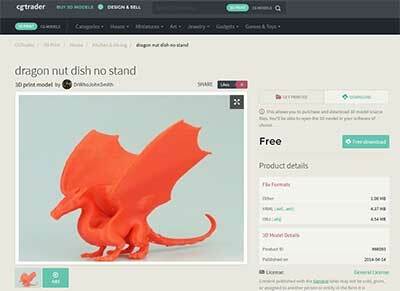 This is the largest 3D printing design sharing community, and all of the models or “things” are free! If you set the price to “Free” in the 3D Print Models section of this website you’ll come across hundreds of awesome 3D models you can download the files for in the results! Wow! 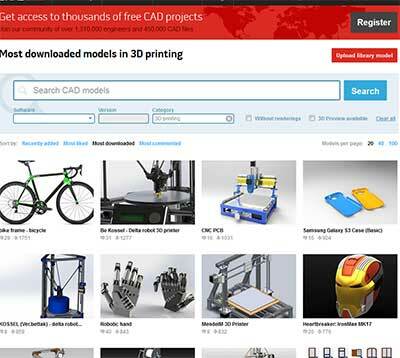 This website offers over 3,000 3D printing models for everything from bicycle frames to robotic hands!!! And I have my eye on the Iron Man helmet!! All of the models on this site are free! 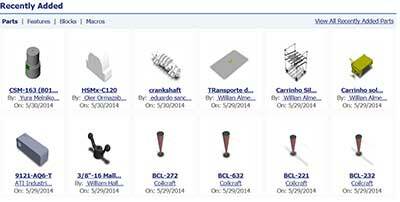 There are thousands of parts and assemblies available on this massive website. While not designed specifically with 3D printing in mind, many of the CAD/CAM files have been created using Solidworks and therefore are printable. 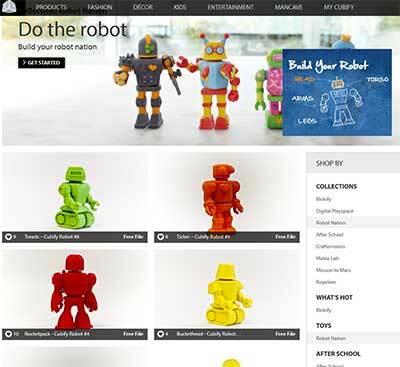 This maker of Cube 3D printers also provides many free downloadable files for printing. You need to go into the different sections of the site to view the “Collections” and then filter by “Free” to see them all, but there are some really high quality models here so it’s worth the time.